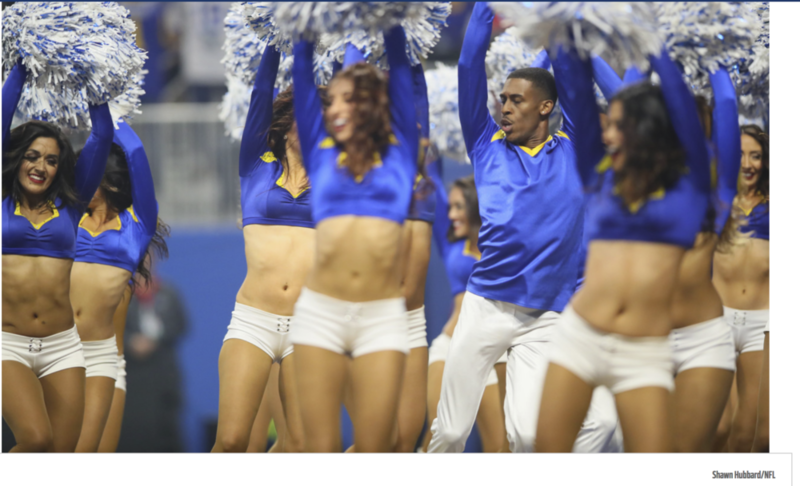 The Los Angeles Rams made NFL history with with the first male cheerleaders at Super Bowl LIII. Quinton Peron and Napoleon Jinnies, members of the Rams' 40-person squad, are the first men to perform on the sidelines of a Super Bowl game. With all of the controversies surrounding the sport, it was fun to watch another barrier be broken with this hugely publicized event. Congrats to the Los Angeles Rams for bringing this team to the table!